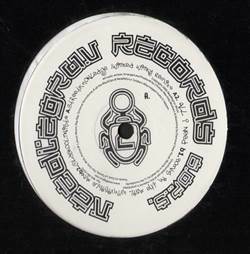 BREAKS, Needlegruv, USA, 2000... With Street Knowledge (Wicked Wicky Remix), All I Need, Bombs In The Mail feat. Invisible MC, Old Skool Twist. DJ Sharaz - Switched 12" Farmer - Get Out Of That Field EP 12" Pro-Ject X - The Summit 12" Fluke - Atom Bomb 12"
Wayward Soul - 1999 12" DJ Brandon Rauch & Jon Wilson - Super Deejays 12" Dub Pistols - Point Blank (Disc 2 Only) LP Freestylers - Get Down Massive (Eric Kupper Mixes) 12"